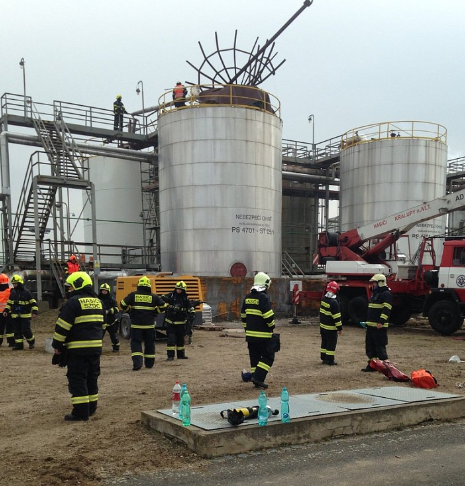 Six people were killed by an explosion that ripped through a storage tank at a production site of sole Czech refiner and petrochemical producer Unipetrol on the morning of March 22. The deaths—confirmed by rescue officials—occurred during the cleaning of the tank by new contractors when an electrical short circuit ignited gas, according to local government officials who spoke to Czech media outlets including news server idnes.cz. The tragedy at Unipetrol’s production complex in Kralupy nad Vltavou north of Prague is another blow to the company which has been steadily recovering healthy petrochemical sales since it reconstructed its ethylene steam cracker, destroyed by an August 2015 explosion at Unipetrol’s main production site in Litvinov in North Bohemia near the German border. 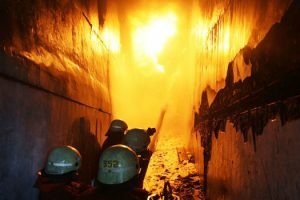 The plastics producer was also in May 2016 knocked out of its stride by a blast at the Kralupy site which wrecked facilities including petroleum conversion technology. 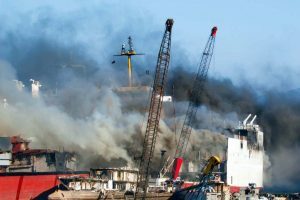 After the explosion, Unipetrol confirmed the incident on its Twitter account but refrained from commenting on the casualties, which rescue officials said included two people with severe injuries. There was no fire after the explosion and situation was under control with no threat to local residents, Unipetrol said. Both ground crews and rescue helicopter teams were dispatched to the incident by Central Bohemia Rescue Services. Caretaker Czech Prime Minister Andrej Babis tweeted his sympathies from Brussels where he was meeting with Nato’s secretary general. “I have just this moment read a tragic report of six dead at a chemical site in Kralupy nad Vltavou. I wish to express my profound sympathies to the bereaved,” the tweet read. Babis has plenty of experience in the world of oil and chemicals. He became a billionaire after founding agrochemicals holding Agrofert. Agrofert once failed in an attempt at taking over key assets of Unipetrol and fought several rounds of arbitration with Orlen over whether those assets had been pledged to it or not by the Polish company prior to its Unipetrol privatisation win. Unipetrol had been preparing the Kralupy production site for maintenance and an upgrade scheduled to run from March 27 to May 9. The refinery has an annual capacity of 3.2mn tonnes of oil.